Lightning can create voltage surges in several of the following ways. Lightning can score a direct hit on your house. It can strike the overhead power line which enters your house, or a main power line that is blocks away from your home. Lightning can strike branch circuitry wiring in the walls of your house. Lightning can strike an object near your home such as a tree or the ground itself and cause a surge. Voltage surges can be created by cloud to cloud lightning near your home. A highly charged cloud which passes over your home can also induce a voltage surge. Voltage surges can also be caused by standard on and off switching activities of large electric motors or pieces of equipment. These surges can be created by a neighbor, or by a business or manufacturing facility some distance from your house. These surges are insidious and for the most part are silent. They can occur with little or no warning. When a voltage surge is created, it wants to equalize itself and it wants to do it as quickly as possible. These things seem to have very little patience. The surges will do whatever it takes to equalize or neutralize themselves, even if it means short circuiting all of your electronic equipment. The method of providing maximum protection for equipment is quite simple. Create a pathway for the voltage surge (electricity) to get to and into the ground outside your house as quickly as possible. This is not, in most cases, a difficult task. The first step is simple. Create an excellent grounding system for your household electrical system. The vast majority of homes do not have an excellent grounding system. Many homes have a single grounding rod and /or a metallic underground water pipe which are part of the electrical grounding system. In most cases, this is inadequate. The reason is somewhat easy to explain. Imagine putting a two inch fire hose into your kitchen sink and opening the nozzle to the full on position. I doubt that the drain in your sink could handle all of the water. Your grounding system would react in the same way to a massive voltage surge. Just as the water jumps out of the sink, the electricity jumps from the grounding system and looks for places to go. Frequently it looks for the microchips in your electronic devices. They are an easy target. They offer a path of least resistance. Voltage surges want to be directed to the grounding system, and when they do, they want to get into the ground around your house in a hurry. You can achieve this by driving numerous grounding rods into virgin soil around your house. These rods should be UL approved and connected by a continuous heavy solid copper wire which is welded to each grounding rod. This solid copper wire begins on the grounding bar inside of your electrical panel and terminates at the last grounding rod. Avoid using clamps if at all possible. Over time, the connection at the clamp can corrode or become loose creating tremendous resistance. This will act as a roadblock to the electricity trying to get into the ground around your home. The grounding rods should be at least ten feet apart from one another. They should be located in soil which readily accepts electricity. Moist clay soils are very desirable. Rocky, sandy, or soils with gravel generally have high resistance factors. Electricity has a tough time dissipating into them. Resistance readings should be in the range of 10 to 30 ohms. The lower the better. The second step in household surge protection is to install a lightning arrester inside of your electric service panel. These devices can be extremely effective in intercepting large voltage surges which travel in the electric power lines. These devices capture the voltage surges and ‘bleed’ them off to the grounding wire which we just spoke of. If for some reason you do not have a large enough grounding wire, or enough ground rods, the arrester cannot do its job. It must be able to send the surge quickly to the ground outside of your house. These arresters range in price from $50.00 to $175.00. Almost every manufacturer of circuit breakers makes one to fit inside their panel. They can be installed by a homeowner who is experienced in dealing with high voltage panels. If you do not have this capability, have an experienced electrician install it for you. The final step in the protection plan is to install ‘point of use’ surge suppression devices. Often you will see these called ‘transient voltage surge suppressors’. These are your last line of defense. They are capable of only stopping the leftover voltage surge which got past the grounding system and the lightning arrester. They cannot protect your electronic devices by themselves. They must be used in conjunction with the grounding system and the lightning arresters. Do not be lulled into a false sense of security if you merely use one of these devices! The ‘point of use’ surge suppression devices are available in various levels of quality. Some are much better than others. What sets them apart are several things. Generally speaking, you look to see how fast their response time is. This is often referred to as clamping speed. Also, look to see how high of a voltage surge they will suppress. Make sure that the device has a 500 volt maximum UL rated suppression level. Check to see if it has an indicator, either visual or audio, which lets you know if it is not working. The better units offer both, in case you install the device out of sight. Check to see if it offers a variety of modes with respect to protection. For example, does the device offer protection for surges which occur between the ‘hot’ and neutral, between ‘hot’ and ground, as well as between neutral and ground. There is a difference! Check to see if it monitors the normal sine waves of regular household current. Surges can cause irregularities in these wave patterns. Good transient surge suppression devices ‘devour’ these voltage spikes. Finally, check the joule rating. Attempt to locate a device which has a joule rating of 140 or higher. Electrical supply houses often are the best place to look for these high quality devices. Some devices can also protect your phone equipment at the same time. This is very important for those individuals who have computer modems. Massive voltage surges can come across phone lines as well. These surges can enter your computer through the telephone line! Don’t forget to protect this line as well. Also, be sure the telephone ground wire is tied to the upgraded electrical grounding system. 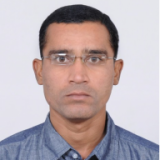 Jignesh Parmar has completed M.Tech (Power System Control), B.E (Electrical). He is member of Institution of Engineers (MIE), India. He has more than 13 years experience in transmission & distribution-energy theft detection and maintenance electrical projects. Thanks for sharing. Useful article. 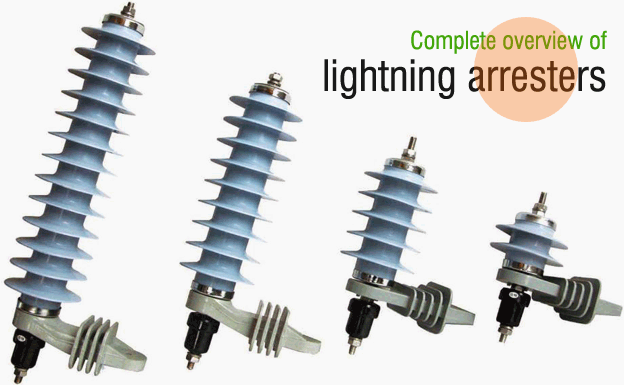 Thank for the detailed information about the Lighting Arrester Products. Trying to understand the types and working principle. The article was helpful. Very informative article but it would had been further improved if the author had discussed the different types and application of surge arresters.